If you wish to help a child choose a hobby that they won't slowly lose interest in, you should start off by exploring their likes and dislikes. If you push them into doing something they don’t actually enjoy, it could have a negative effect on their self-worth and self-esteem. There’s nothing worse for a child than to be forced into an activity they have very little interest in because their parents want them to share in their passions. If you genuinely want to help encourage a child discover their passions and talents, start of by identifying the things they naturally love to do and show a personal interested in discovering why, then build from there. Developing potential talents in a child requires them to be nurtured from the get-go with plenty of verbal encouragement and showing your support by taking a genuine interest in their progress. This is a concept fully supported by Ms. Lilian Oduro-Mensah, the mother of Erica Tandoh, a 10-year-old Disc Jockey also known as DJ Switch. 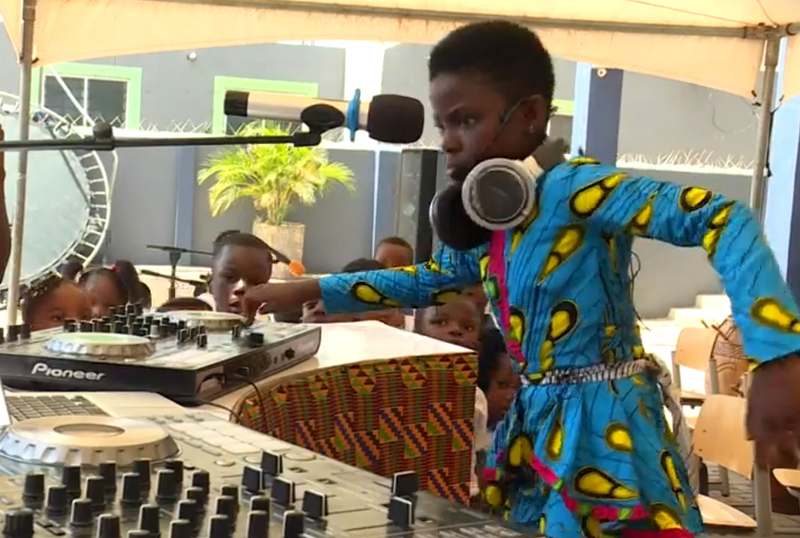 A young DJ praised as one of the most talented kids mixing and spinning tracks to huge crowds in her home country of Ghana. Mother Lilian discovered her daughter’s talent at the early age of 7 when Erica picked up her mother headphones and wouldn’t put them down. Lilian hired a professional DJ called DJ Faud to train and develop her skills on the turntables resulting in her sharing her talents on a reality show called Talented Kidz where she won first place. Erica’s creative originality and natural confidence impressed many music industry professionals and with the full support of her mum Lilian, she continues to build herself a very successful DJ career. Currently, Erica is being filmed for an observational documentary called BBC What’s New, a reality show that follows the lives of talented young people from countries across Africa. Lilian and her daughter Erica are a perfect example of how a child can unlock hidden potential talent with the full support from a parent or guardian. Lilian put her full faith in her daughters passion and guided her in every step she took. As well as DJing Erica enjoys dancing and signing but she also hopes to continue her school studies with the aim of becoming a gynaecologist, a career choice inspired by her other passion to help issues affecting women in her home country of Ghana. So take a good look at Erica aka DJ Switch because she could be the world’s youngest, most promising female ambassador and superstar DJ. LSA understands the importance of nurturing talent from a young age and this is why they offer DJ courses for kids, specially designed to teach children how to DJ with a strong emphasis on experiential learning.